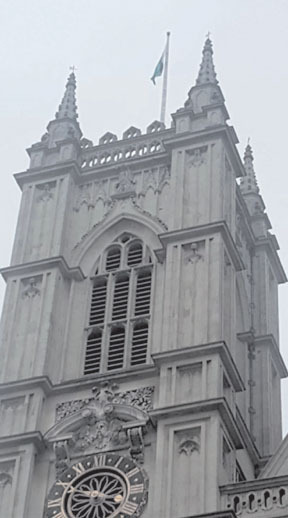 LONDON: The Westminster Abbey, which was founded in 960 AD, organized a special Evensong in connection with the National Day of Pakistan, as per tradition. The special Service was held on the eve of 23 March 2019. The highlight of the occasion was that Pakistan’s flag was flying for the whole day on top of the north tower of Westminster Abbey. It is customary tradition that all members of Commonwealth are privileged to be facilitated with this special service. 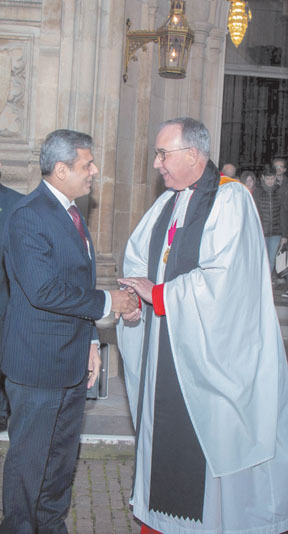 High Commissioner, Mohammad Nafees Zakaria, represented Pakistan at the Special Service. He was received by The Very Reverend Dr. John Hall, Dean of Westminster. The Reverend Mark Birch led the Evensong. The Evensong was sung by the world-renowned Choir of Westminster Abbey. Special prayers were offered for the progress and prosperity of Pakistan and its people as well as for the continued friendship between the two countries. 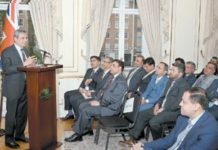 A large number of British citizens and Church goers attended the event, besides the High Commission’s officials. 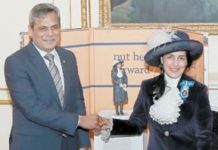 High Commissioner Nafees Zakaria told ‘The Nation’ this special service was an honour and prestige for Pakistan and the whole city which is the capital of the country witnessed hoisting national flag full day. 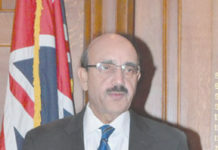 “It would help boost the soft image of Pakistan that we all Pakistani diaspora has to maintain”, he emphasised.